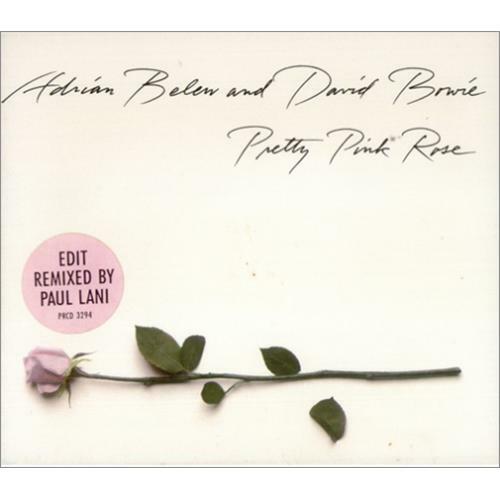 As Adrian Belew had salvaged “Pretty Pink Rose,” Bowie repaid him by writing a lyric and vocal melody for an instrumental track that Belew was ready to abandon. 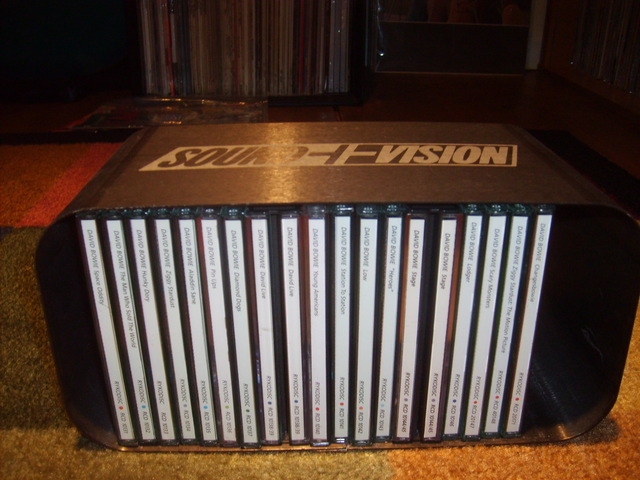 Rehearsing the Sound & Vision tour in New York, Bowie and Belew went to Right Track Recording one night in January 1990 to cut the vocals for “Pink Rose.” The work quickly dispatched, Bowie listened to a few backing tracks Belew was considering for Young Lions but which he said he didn’t know what to do with. 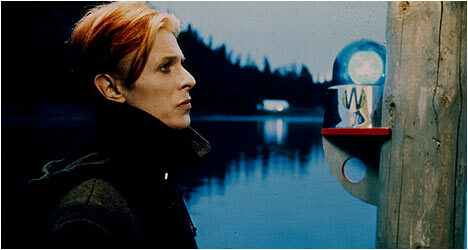 One, an uptempo piece with a guitar hook and a driving tom-centered beat, intrigued Bowie, and he asked for it to be replayed a few times. 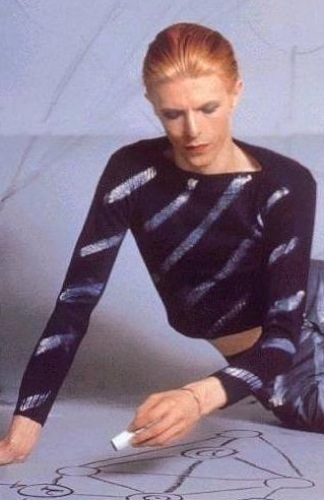 Then Bowie sat down with a beer and a notepad. He wrote a lyric in under a half-hour and, with his typical economy, cut his vocal in a couple of takes. 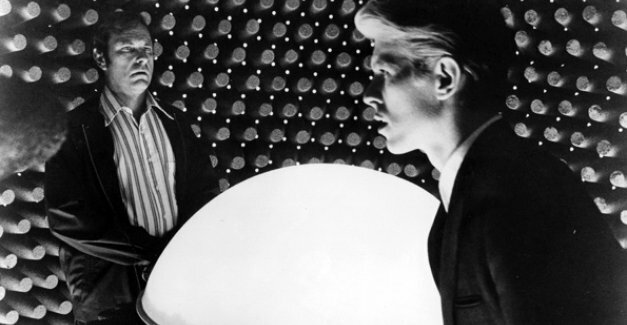 On the final take, Bowie’s “English” voice doesn’t appear until his last verse: a sing-spoken set of lines that become what sounds like a vicious lampoon of Robert Smith’s singing voice (“your women are DOGS but they’re braver than youuuuu“). 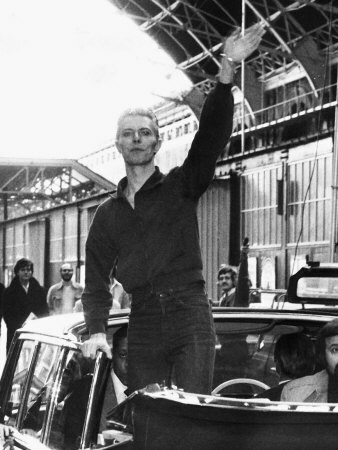 Bowie opened the song in a guttural, hoarse voice, sounding deliberately off-key at times, and first sang the title as though being strangled. 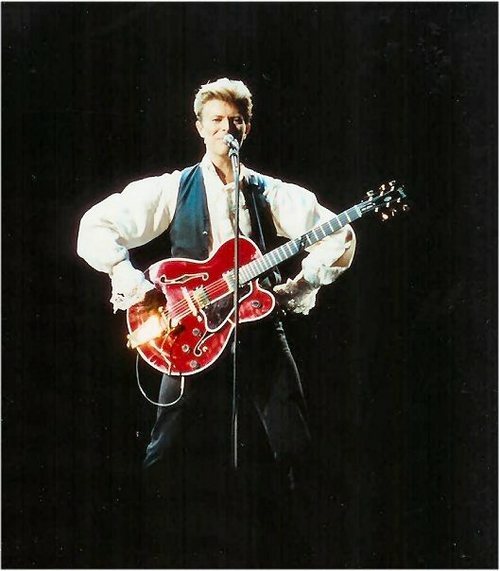 Taking his vocal hook from Belew’s two-chord guitar phrases (“gun-man”), Bowie generally sang six- or eight-line verses over this hook while singing four-line “refrains” over the contrasting eight-bar sections with arpeggiated guitars. The pattern broke down by the last verse, which bleeds into the “refrain” section. A wonderfully odd track that was tucked away as the closer of Belew’s Young Lions, “Gunman” served, in retrospect, to preview Bowie’s crackpot ambitions in the mid-Nineties. Recorded at Royal Recorders in Lake Geneva, Wis., on 3 November 1989, with Bowie’s vocal cut at Right Track Recording, NYC, on 15 January 1990. Sadly never performed live. Boys Keep Swinging (The Kenny Everett Show, 1979). Boys Keep Swinging (w/ Klaus Nomi and Joey Arias, Saturday Night Live, 1979). Boys Keep Swinging (broadcast, 1995). 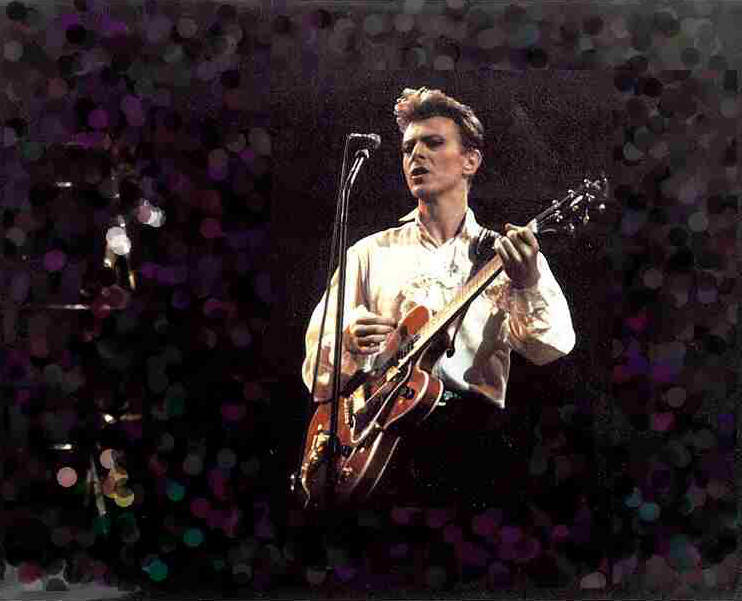 Boys Keep Swinging (live, 1995). “Boys Keep Swinging” is Bowie taking on the Village People, with an irony far beyond the double-entendres of “YMCA” or “In the Navy.” There’s never a knowing aside, never a line sung with a wink: Bowie sells his pitch in his “Golden Years” croon, with a joyful bellow on “luck just kissed you HELLO!” while he gives the crude line “life is a pop of the cherry” some grandeur. 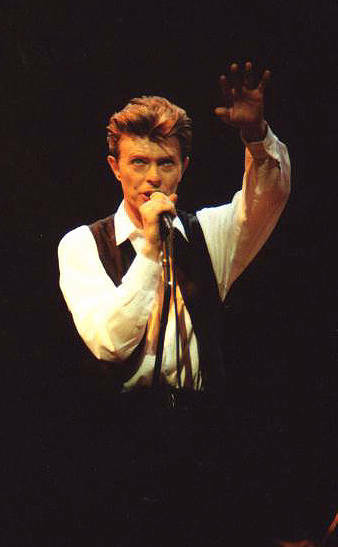 The whole piece is dedicated to camaraderie, with the backing singers taking over on the refrains as Bowie’s vocal sinks into the bassline, while the lead and supporting voices collide on a line like “you’ll get your share!” Bowie’s tone is beyond detachment or parody: the lyric and performance could be an extraterrestrial’s baffled report on human gender roles. If you are a male of the species you can wear a uniform! You can buy a home of your own! 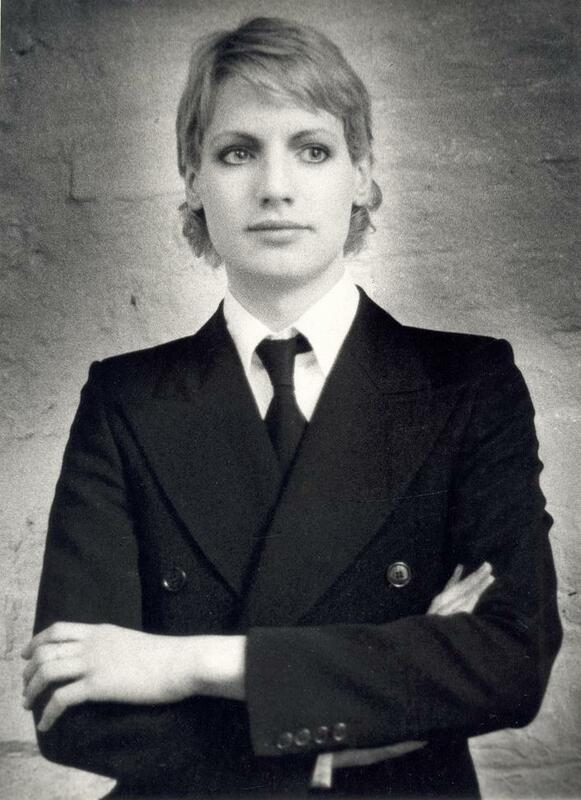 In David Mallet’s promo film for “Boys,” Bowie appeared in drag as his three backing singers. His rubbing-the-lipstick-off gesture was a steal from Romy Haag: it was a classic finale move by drag queens (Bowie loved the “anarchic” feel of destroying makeup that had taken hours to apply). 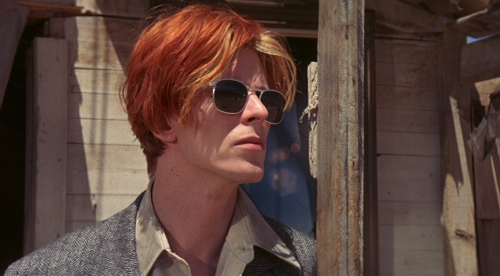 Bowie’s mimetic talent, his ability to create a character in a few gestures, are amazing in this video, as each of his three women is distinct: the brassy Sixties belter; the faded, elegant dowager (modeled on his former co-star Marlene Dietrich); and his skeletal high society vampire. 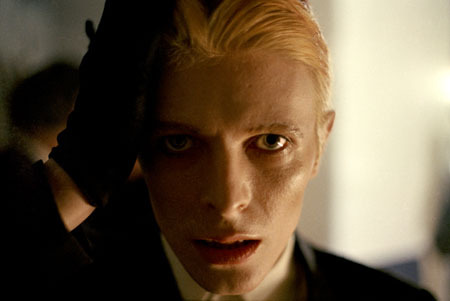 The latter is especially frightening; when Bowie rips off his Rebekah Brooks wig, he looks like a demon. 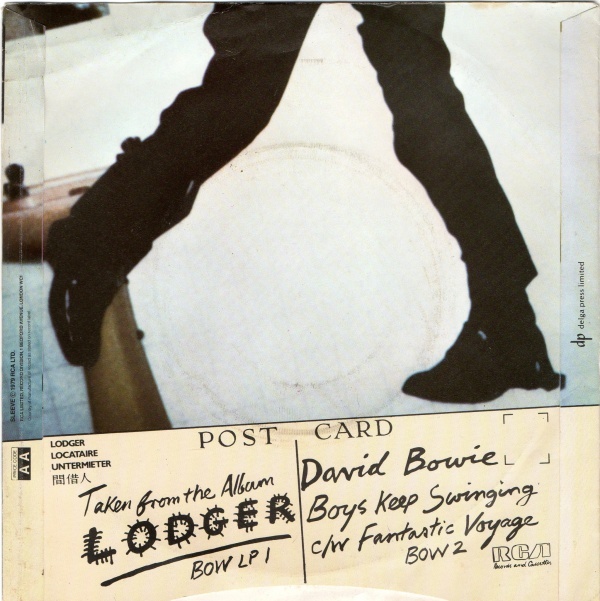 “Boys Keep Swinging” was one of the last songs completed for Lodger. 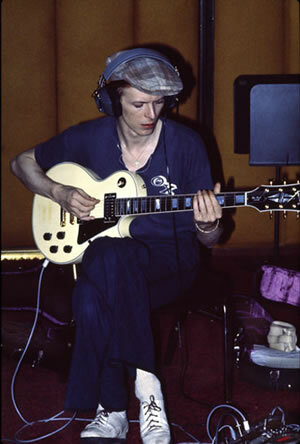 It had a hard birth, though Adrian Belew recalled Bowie coming up with the lyric and vocal in a week during the overdub sessions. 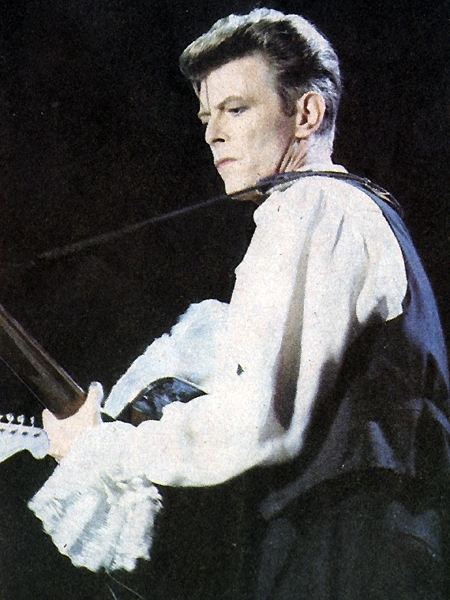 During early takes of the rhythm track, Bowie, frustrated by what he called a “too professional” sound (Bowie wanted to sound like “young kids in the basement [were] just discovering their instruments,” Carlos Alomar said), was inspired by one of Eno’s Oblique Strategies cards (“Use Unqualified People”) and had the band switch instruments, a trick used during Lust For Life (“Fall in Love With Me”). Alomar competently played drums and Dennis Davis not-so-competently played bass, requiring Tony Visconti to redo the bassline during mixing. Visconti used the opportunity to play a hyperactive line that echoed his work on The Man Who Sold the World (it’s possibly inspired by the main riff of the Beach Boys’ “You’re So Good To Me.”). 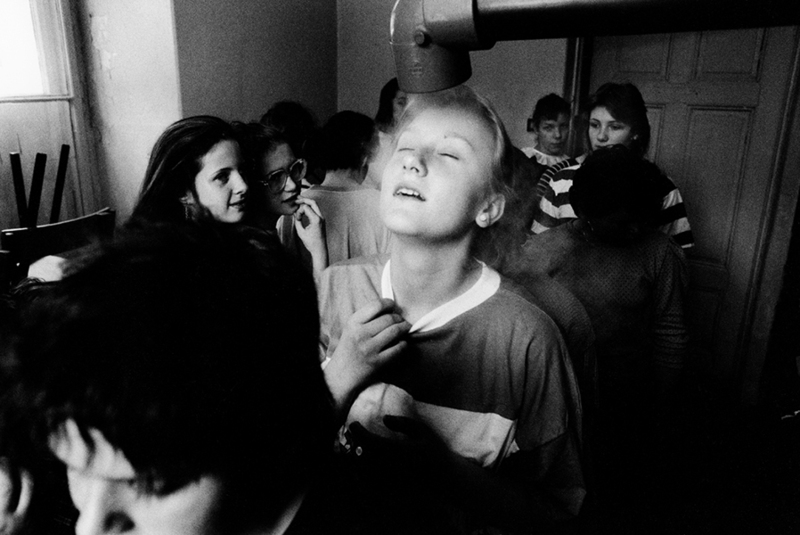 It became one of the track’s main hooks. George Murray was assigned to keyboards but was apparently erased from the final track, as he’s not credited on the LP sleeve. 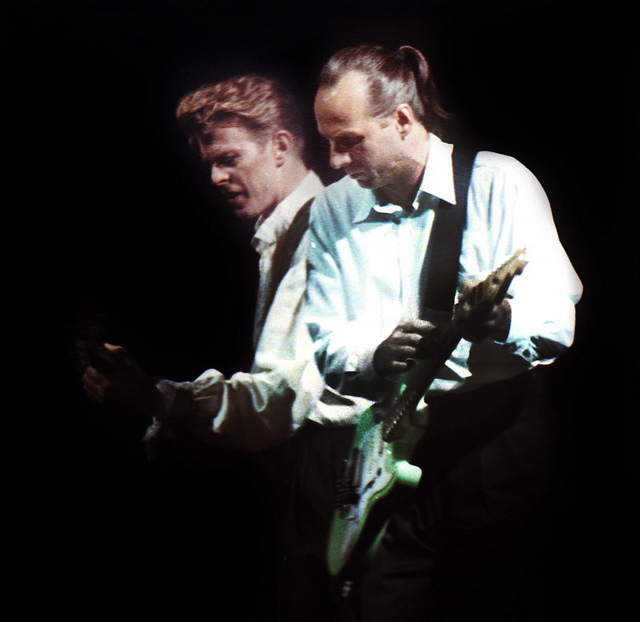 Its lyric wrapped up early on, “Boys” cedes its remaining 90 seconds to a gonzo Adrian Belew guitar solo, again compiled by Visconti and Bowie from various takes (the only clue Belew was given about the song was that Alomar was playing drums). 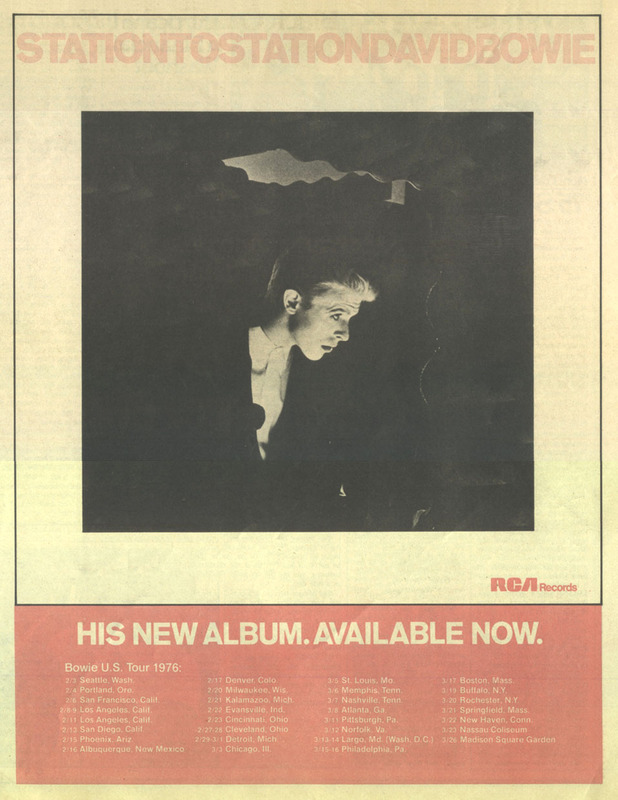 Belew recalled Bowie buttering him up during the session, saying that “Boys Keep Swinging” had wound up being a homage to Belew, as he was boyish and was a “world-is-your-oyster kind of guy,” Belew recalled in an interview with David Buckley. 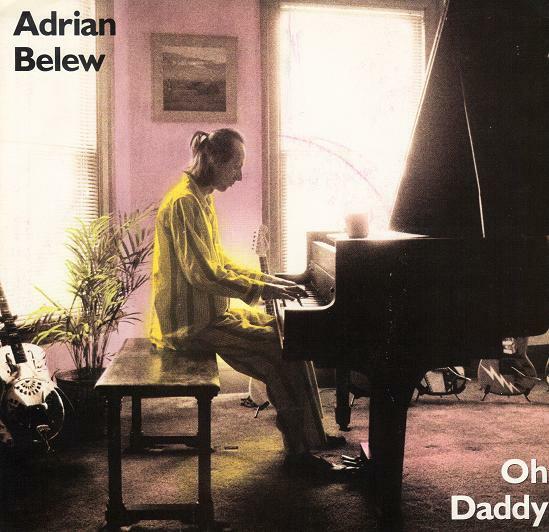 It’s Belew’s most inspired performance on the record, so flattery works. Recorded September 1978 at Mountain Studios, Montreux, and March 1979 at the Record Plant, NYC. Released as a single (RCA BOW 2 c/w “Fantastic Voyage,” #7, UK) in April 1979. Covered by the Associates in 1980 and Susanna Hoffs a decade later. Blur ripped “Boys” off so much on “M.O.R.” that they were forced to credit Bowie and Eno as co-songwriters. 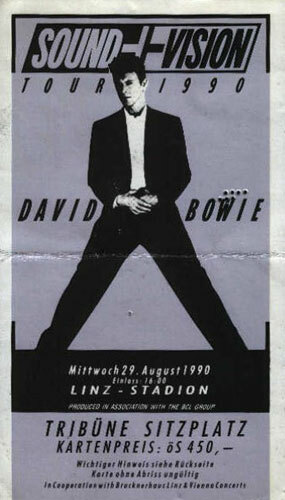 ** Visconti has said there was a third song using this progression cut during the Lodger sessions, but it was scrapped. According to the sheet music, the two Lodger songs don’t quite have the same progression—in the verses, “Boys” has a Bb where “Voyage” has a G minor. Top: Val Denham, ca. 1978.